“Tertiary Alcohols as Radical Precursors for the Introduction of Tertiary Substituents into Heteroarenes” Pitre, S. P.; Muuronen, M.; Fishman, D. A.; Overman, L. E. ACS Catal. 2019, 9, 3413—3418. “Forging C(sp3)—C(sp3) Bonds with Carbon-Centered Radicals in the Synthesis of Complex Molecules” Pitre, S. P.; Weires, N. A.; Overman, L. E. J. Am. Chem. Soc. 2019, 141, 2800—2813. “Canvass: A Crowd-Sourced, Natural-Product Screening Library for Exploring Biological Space” Kearny, S. E. et. al. ACS Cent. Sci. 2018, 4, 1727—1741. “Total Synthesis of (-)-Chromodorolide B By a Computationally-Guided Radical Addition/Cyclization/ Fragmentation Cascade” Tao, D. J.; Slutskyy, Y.; Muuronen, M.; Le, A.; Kohler, P.; Overman, L. E. J. Am. Chem. Soc. 2018, 140, 3091—3102. “Discussion Addendum for: Preparation of the COP Catalysts: [(S)-COP-OAc]2, [(S)-COP-Cl]2, and (S)-COP-hfacac” Cannon, J. S..; Overman, L. E. Org. Synth. 2018, 95, 500—510. “1,6-Addition of Tertiary Carbon Radicals Generated from Alcohols or Carboxylic Acids by Visible-Light Photoredox Catalysis” Abbas, S. Y.; Zhao, P.; Overman, L. E. Org. Lett. 2018, 20, 868—871. “Short Enantioselective Total Syntheses of Cheloviolenes A and B and Dendrillolide C via Convergent Fragment Coupling Using a Tertiary Carbon Radical” Garnsey, M. R.; Slutskyy, Y.; Jamison, C. R.; Zhao, P.; Lee, J.; Rhee, Y. H.; Overman, L. E. J. Org. Chem. 2017, Article ASAP. 385 “Fragment Coupling and Formation of Quaternary Carbons by Visible-Light Photoredox Catalyzed Reaction of tert-Alkyl Hemioxalate Salts and Michael Acceptors” Jamison, C. R.; Slutskyy, Y.; Overman, L. E. Org. Synth. 2017, 94, 167—183. “Versatile Construction of 6-Substituted cis-2,8-Dioxabicyclo[3.3.0]octan-3-ones: Short Enantioselective Total Syntheses of Cheloviolenes A and B and Dendrillolide C” Slutskyy, Y.; Jamison, C. R.; Zhao, P.; Lee, J.; Rhee, Y. H.; Overman, L. E. J. Am. Chem. Soc. 2017, 139, 7192—7195. 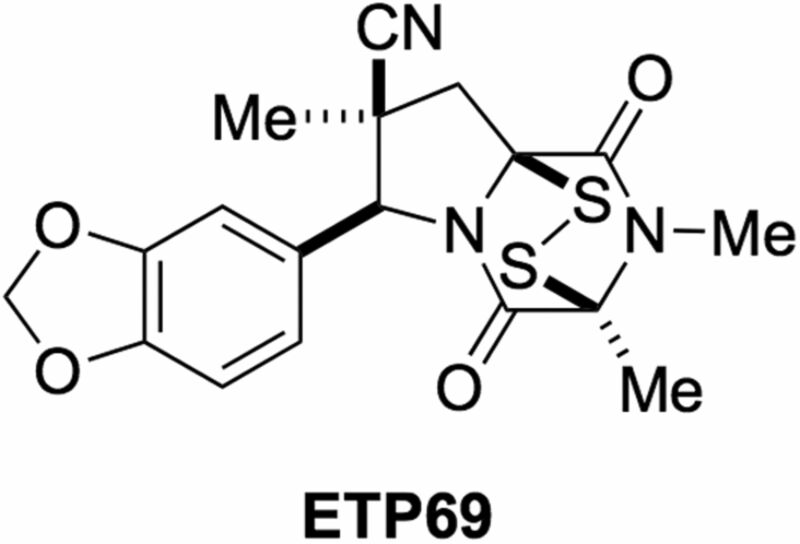 383 “NT1721, a Novel Epidithiodiketopiperazine, Exhi bits Potent in vitro and in vivo Efficacy Against Acute Myeloid Leukemia” Kowolik, C. M.; Lin, M.; Xie, J.; Overman, L. E.; Horne, D. A. Oncotarget, 2016, 7, 86186—86197. “Palladium(II)-Catalyzed Enantioselective Reactions Using COP Catalysts” Cannon, J. S.; Overman, L. E. Acc. Chem. Res. 2016, 49, 2220—2231. 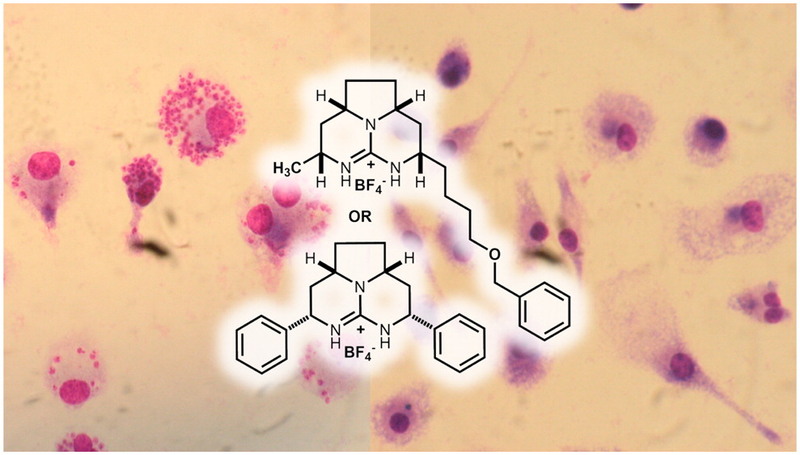 “Analogues of Marine Guanidine Alkaloids are in Vitro Effective against Trypanosoma cruzi and Selectively Eliminate Leishmania (L.) infantum Intracellular Amastigotes” Martins, L. F. et al. J. Nat. Prod., 2016, 79, 2202—2210. “Fragment Coupling with Tertiary Radicals Generated by Visible-Light Photocatalysis” Jamison, C. R.; Overman, L. E. Acc. Chem. Res. 2016, 49, 1578—1586. 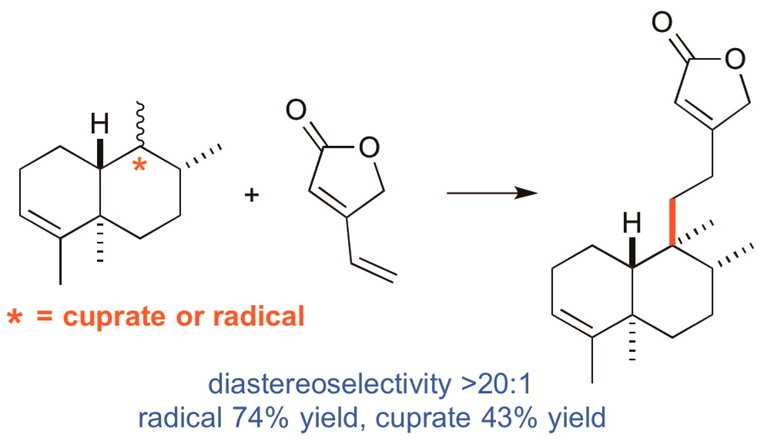 “Short Enantioselective Total Syntheses of trans-Clerodane Diterpenoids: Convergent Fragment Coupling Using a trans-Decalin Tertiary Radical Generated from a Tertiary Alcohol Precursor” Slutskyy, Y.; Jamison, C. R.; Lackner, G. L.; Müller, D. S.; Dieskau, A. P.; Untiedt, N. L.; Overman. L. E. J. Org. Chem. 2016, 81, 7029—7035. “Generation of the Methoxycarbonyl Radical by Visible-Light Photoredox Catalysis and Its Conjugate Addition with Electron-Deficient Olefins” Slutskyy, Y.; Overman, L. E. Org. Lett. 2016, 18, 2564—2567. “Diastereoselective Coupling of Chiral Acetonide Trisubstituted Radicals with Alkenes” Tao, D. J.; Muuronen, M.; Slutskyy, Y.; Le, A.; Furche, F.; Overman, L. E. Chem. Eur. J. 2016, 22, 8786—8790. “H3K9me3 Inhibition Improves Memory, Promotes Spine Formation, and Increases BDNF Levels in the Aged Hippocampus” Snigdha, S.; Prieto, G. A.; Petrosyan, A.; Loertscher, B. M.; Dieskau, A. P.; Overman. L. E.; Cotman, C. W. J. Neurosci. 2016, 36, 3611—3622. 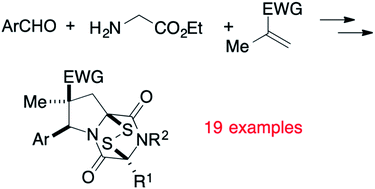 “Total Synthesis of (—)-Chromodorolide B” Tao, D. J.; Slutskyy, Y.; Overman, L. E. J. Am. Chem. Soc. 2016, 138, 2186—2189. “Synthetic Strategies toward Natural Products Containing Contiguous Stereogenic Quaternary Carbon Atoms” Buschleb, M.; Dorich, S.; Hanessian, S.; Tao, D.; Schenthal, K. B.; Overman, L. E. Angew. Chem. Int. Ed. 2016, 55, 4156—4186. “Ligand-Controlled Diastereoselective 1,3-Dipolar Cycloadditions of Azomethine Ylides and Methacrylonitrile” Walton, M. C.; Yang, Y.-F.; Hong, X.; Houk, K. N.; Overman. L. E. Org. Lett. 2015, 17, 6166—6169. “Synthesis of 2,5-Diaryl-1,5-dienes from Allylic Bromides Using Visible-Light Photoredox Catalysis” Pratsch, G.; Overman, L. E. J. Org. Chem. 2015, 80, 11388—11397. “Oxalates as Activating Groups for Alcohols in Visible Light Photoredox Catalysis: Formation of Quaternary Centers by Redox-Neutral Fragment Coupling” Nawrat, C. C.; Jamison, C. R.; Slutskyy, Y.; MacMillan, D. W. C.; Overman, L. E. J. Am. Chem. Soc. 2015, 137, 11270—11273. “Stereocontrolled Enantioselective Total Synthesis of the [2+2] Quadrigemine Alkaloids” Canham, S. M.; Hafensteiner, B. D.; Lebsack, A. D.; May-Dracka, T. L. Nam. S.; Sterns, B. A.; Overman. L. E. Tetrahedron 2015, 71, 6424—6436. 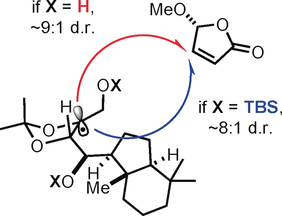 “Tricyclic Analogues of Epithiodioxopiperazine Alkaloids with Promising in vitro and in vivo Antitumor Activity” Baumann, M.; Dieskau, A. P.; Loertscher, B. M.; Walton, M. C.; Nam, S.; Xie, J.; Horne, D.; Overman. L. E. Chem. Sci. 2015, 6, 4451—4457. 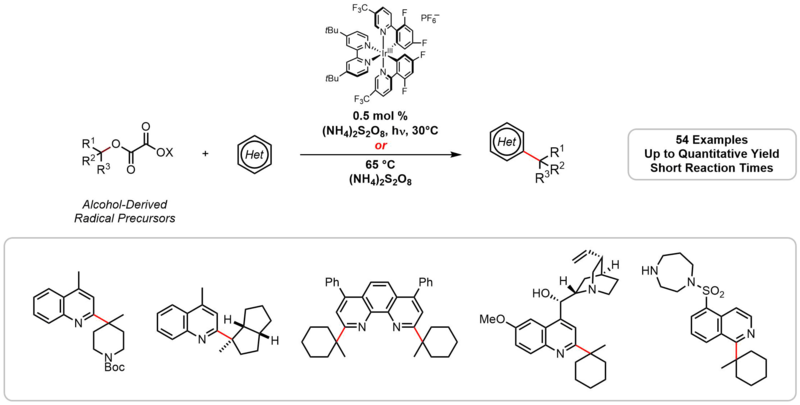 “Constructing Quaternary Carbons from N-(Acyloxy)phthalimide Precursors of Tertiary Radicals Using Visible-Light Photocatalysis” Pratsch, G.; Lackner, G. L.; Overman, L. E. J. Org. Chem. 2015, 80, 6025—6036. 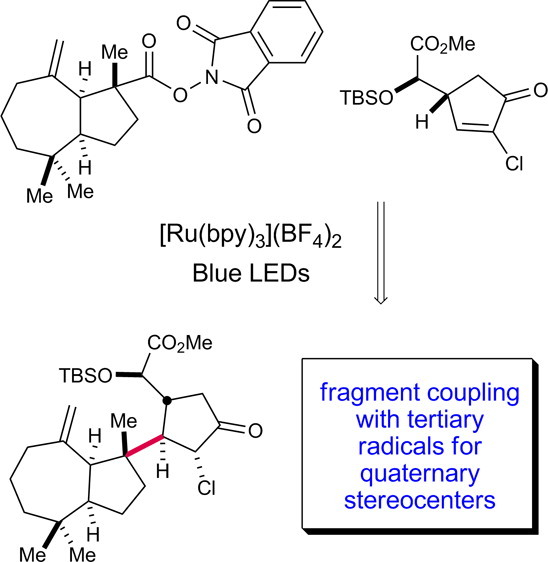 “Fragment Coupling and the Construction of Quaternary Carbons Using Tertiary Radicals Generated from tert-Alkyl N-Phthalimidoyl Oxalates by Visible-Light Photocatalysis” Lackner, G. L.; Quasdorf, K. W.; Pratsch, G.; Overman, L. E. J. Org. Chem. 2015, 80, 6012—6024. “Constructing Quaternary Stereogenic Centers Using Tertiary Organocuprates and Tertiary Radicals. 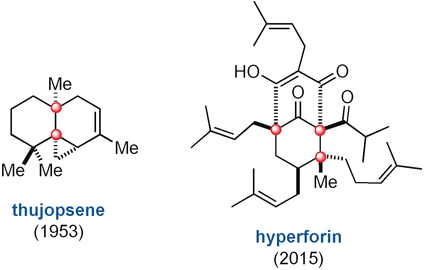 Total Synthesis of trans-Clerodane Natural Products” Müller, D. S.; Untiedt, N. L.; Dieskau, A. P.; Lackner, G. L.; Overman, L. E. J. Am. Chem. Soc. 2015, 137, 660—663. 365 “Catalytic enantioselective synthesis of quaternary carbon stereocentres” Quasdorf, K. W.; Overman, L. E. Nature, 2014, 516, 181—191. 364 “The insulin secretory action of novel polycyclic guanidines: Discovery through open innovation phenotypic screening, and exploration of structure–activity relationships” Shaghafi, M. B.; Barrett, D. G.; Willard, F. S.; Overman, L. E. Bioorganic & Medicinal Chemistry Letters 2014, 24, 1031—1036. 363 “Direct Construction of Quaternary Carbons from Tertiary Alcohols via Photoredox-Catalyzed Fragmentation of tert-Alkyl N-Phthalimidoyl Oxalates” Gregory L. Lackner, Kyle W. Quasdorf, Larry E. Overman. Journal of the American Chemical Society 2013, 135, 15342—15345. 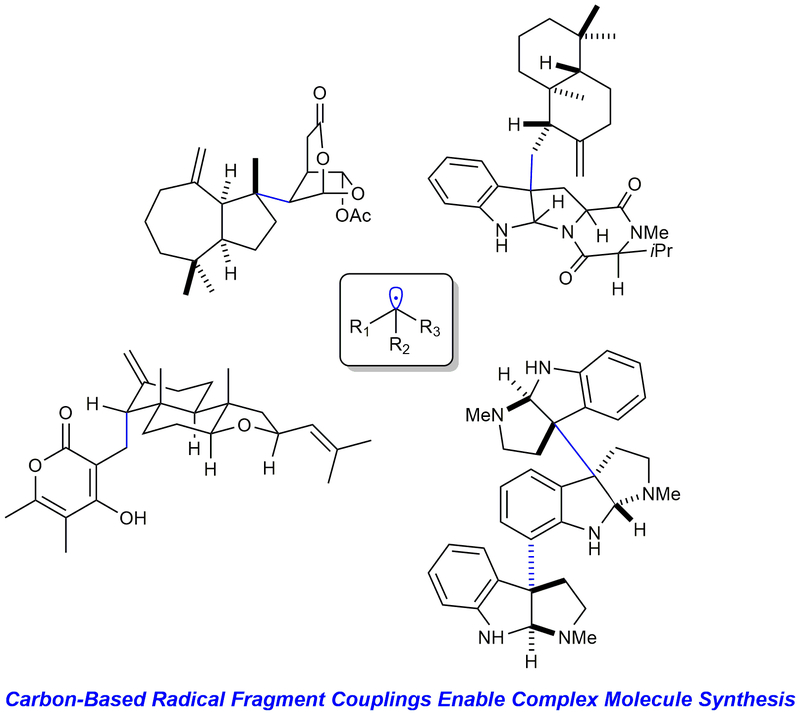 362 “Enantioselective Synthesis of Angularly Substituted 1-Azabicyclic Rings: Coupled Dynamic Kinetic Epimerization and Chirality Transfer” Zachary D. Aron, Tatsuya Ito, Tricia L. May, Larry E. Overman, and Jocelyn Wang. Journal of Organic Chemistry 2013, 78, 9929—9948. 361 “Enantioselective Total Synthesis of Plectosphaeroic Acids B and C” Salman Y. Jabri and Larry E. Overman. Journal of Organic Chemistry 2013, 78, 8766—8788. 360 “Enantioselective Total Synthesis of Plectosphaeroic Acid B” Salman Y. Jabri and Larry E. Overman. Journal of the American Chemical Society 2013, 135, 4231—4234. 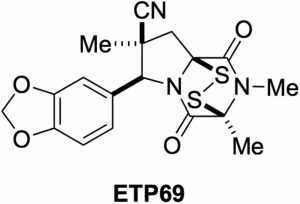 359 “General Approach for Preparing Epidithiodioxopiperazines from Trioxopiperazine Precursors: Enantioselective Total Syntheses of (+)-and (−)-Gliocladine C, (+)-Leptosin D, (+)-T988C, (+)-Bionectin A, and (+)-Gliocladin A” John E. DeLorbe, David Horne, Richard Jove, Steven M. Mennen, Sangkil Nam, Fang-Li Zhang, and Larry E. Overman. Journal of the American Chemical Society 2013, 135, 4117—4128. 358 “Origins of Stereoselectivities of Dihydroxylations of cis-Bicyclo[3.3.0]octenes” Hao Wang, Philipp Kohler, Larry. E. Overman, and K. N. Houk. Journal of the Americal Chemical Society 2012, 134, 16054—16058. 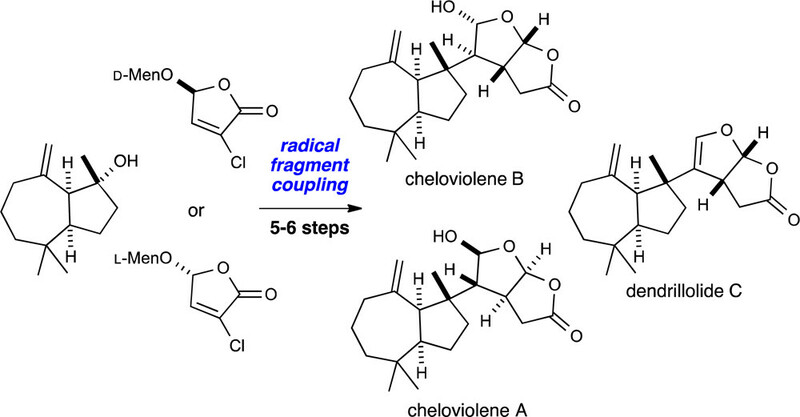 357 “A Concise Synthesis of (—)-Aplyviolene Facilitated by a Strategic Tertiary Radical Conjugate Addition” Martin J. Schnermann, Larry E. Overman. Angewandte Chemie International Edition 2012, 51, 9576—9580. 356 “Forming Tertiary Organolithium and Organocuprates from Nitrile Precursors and their Bimolecular Reactions with Carbon Electrophiles to Form Quaternary Carbon Stereocenters” Martin J. Schnermann, Nicholas L. Untiedt, Gonzalo Jimenez-Oses, Kendall N. Houk, Larry E. Overman. Angewandte Chemie International Edition 2012, 57, 9581—9586. 355 “Total Synthesis of (+)-Sieboldine A: Evolution of A Pinacol-Terminated Cyclization” Stephen M. Canham, David J. France, Larry E. Overman. Journal of Organic Chemistry 2012, 78, 9—34. 354 “Palladium(II)-Catalyzed Enantioselective Synthesis of 2-Vinyl Oxygen Heterocycles” Jeffrey S. Cannon, Angela C. Olson, Larry E. Overman, Nicole S. Solomon Journal of Organic Chemistry, 2012, 1961–1973. 353 “Palladacyclic Imidazoline-Naphthalene Complexes: Synthesis and Catalytic Performance in Pd(II)-Catalyzed Enantioselective Reactions of Allylic Trichloroacetimidates” Jeffrey S. Cannon, James H. Frederich, and Larry E. Overman Journal of Organic Chemistry 2012, 1939–1951. 352 “Is There No End to the Total Syntheses of Strychnine? 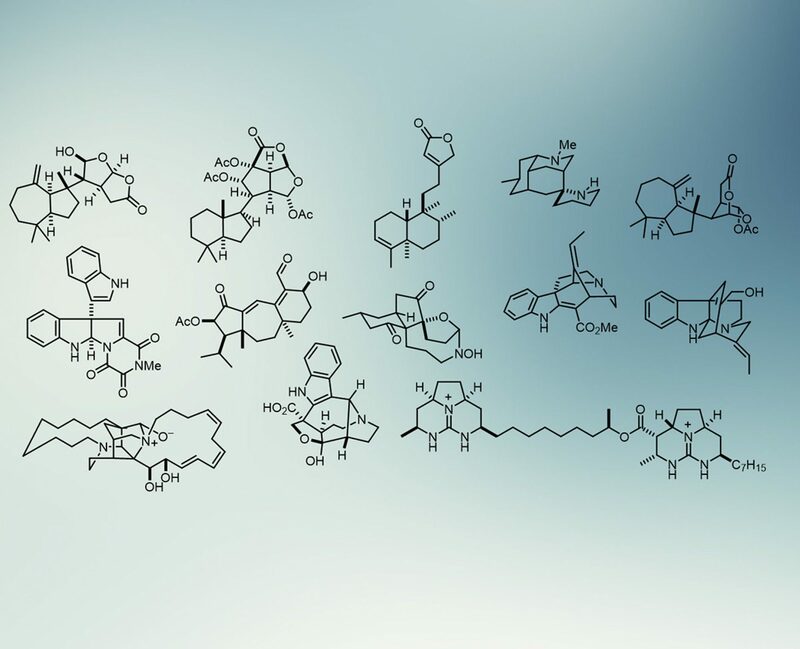 Lessons to be Learned for Strategy and Tactics in Total Synthesis” Jeffrey S. Cannon and Larry E. Overman Angewandte Chemie, International Edition 2012, 51, Early View.